Made of apple wood and colored jewelry resin. Size, mm: 105 (height) х 70 (max diameter). 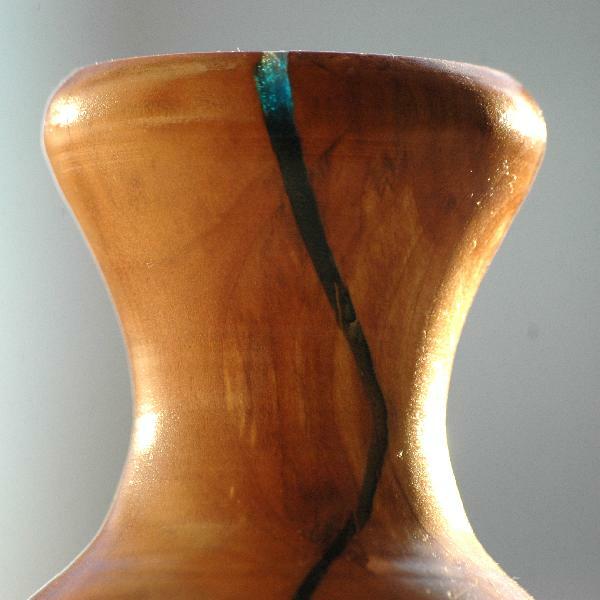 A decorative mini-vase. Carved from natural apple wood with insertions of light blue jewelry resin. A charming gift.